We are committed to superior fulfillment and distribution, but we are equally committed to faithfully representing your brand in every shipment. Significant resources have been developed to ensure we are delivering a positive customer experience on your behalf. Premium brands seek to deliver an experience that reinforces their brand position at every customer touch point. Custom packaging and product presentation at the point of delivery can have significant influence on the perception of your brand. Our custom packaging experience ensures every detail of your package will meet and exceed all of your requirements. Looking for help with design of your packaging? Our fulfillment experts and design specialists in our DM Agency Services marketing team can help you create packaging that will impress with every order. High-impact, customizable, branded flyers delivered with your products. 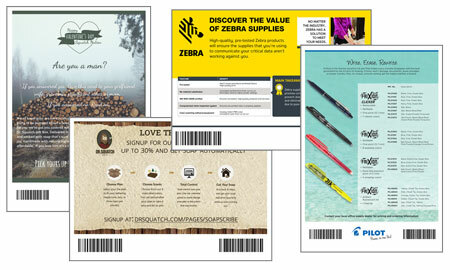 DM Fulfillment’s Instant Insert program offers unlimited messaging opportunities. With versatile, print-on-demand technology, you can drive customers back to your website, promote new products or upsell an item based on the product category or SKU ordered. In addition, our marketing department can help design your insert. Reinforcing a branded customer experience at every touch point. 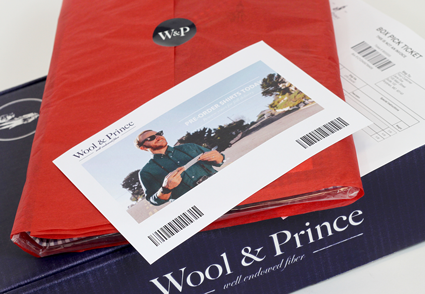 The pick ticket serves a simple, yet extremely important purpose in the shipping process. It’s used in the warehouse to confirm the order, then it’s placed in the box with your product and ultimately lands in the hands of your customer reinforcing your brand. 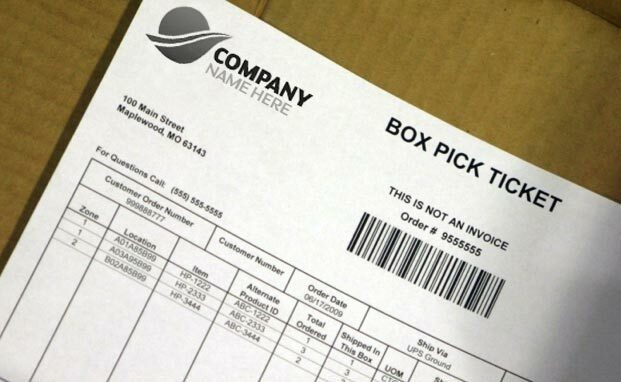 DM Fulfillment’s labeling capabilities allow you to add special instructions, product messaging or even package routing information to your shipments.